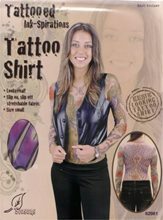 Tattoo Shirt For Ladies Small;Tattoo Shirt for Ladies Small Product Description Each /Poly Bag With Insert Card. 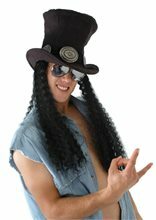 Guitar Superstar Hat with Wig.Includes: One guitar superstar hat with attached wavy wig.Size: Adult - fits 57-61cm heads (23.5 inches).Material: Ultra suede. 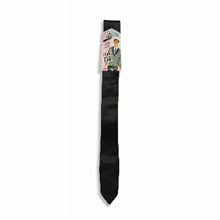 Velcro size adjuster.Rock out with this rockstar top hat! 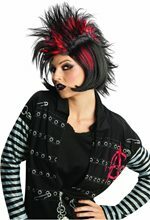 Made of black ultra suede, featuring silver plated buckles and attached wavy wig. *Sunglasses and Costume Not Included.